Every week, I post a picture of the food that has gone bad over the last seven days. Why do I do this? Because in March of 2008, I finally got fed up with the amount of food I was wasting, and I thought that showing my waste to other people would motivate me to use up my food instead of wasting it. 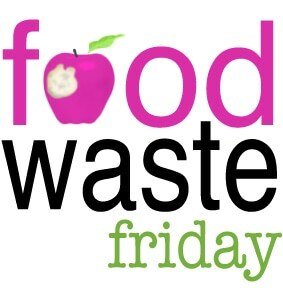 Because this often embarrassing practice was so helpful for me, I invited other bloggers to join me in posting their food waste photos, and Food Waste Friday was born. 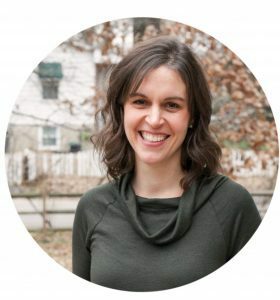 If you’re not a blogger but still want some food waste accountability, feel free to participate by leaving a comment. See these two innocent looking potatoes? They’re really stink bombs. And it’s not exactly my fault that they went bad, but that’s a long story for maybe another time. 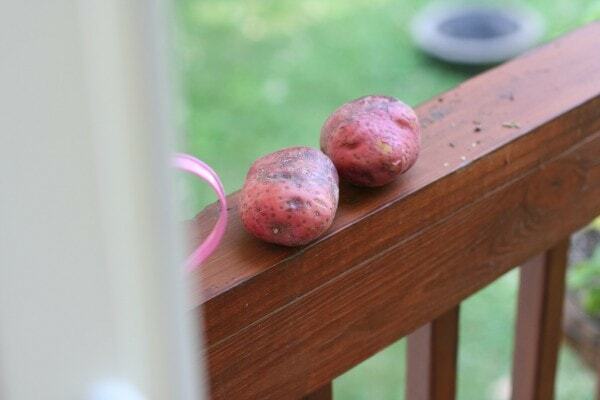 The good thing is, though, the two leaky, stinky potatoes made me clean out the cabinet they were living in. I vacuumed out all the spilled flour and wiped the shelves. I even washed my rolling pin, and that almost never happens. So, two potatoes had to be sacrificed for the cause, but at least my cabinet is cleaner than it’s been in a long while. I think I might also have a bad peach that was in the fridge before the power went out, but it may be able to be salvaged. Really, though…considering that we had a hurricane this past week, I’m quite delighted that this is all I’ve wasted. It could have been so much worse. In the past month, I’ve wasted about $300 worth of food. First we had a pantry moth infestation in the cabinet; and now Irene knocked out our power for four days, but I’m looking at these setbacks as a fresh start! And kudos to you, Kristen for making it through a power outage without wasting the contents of your fridge! Ha ha, here we go again. 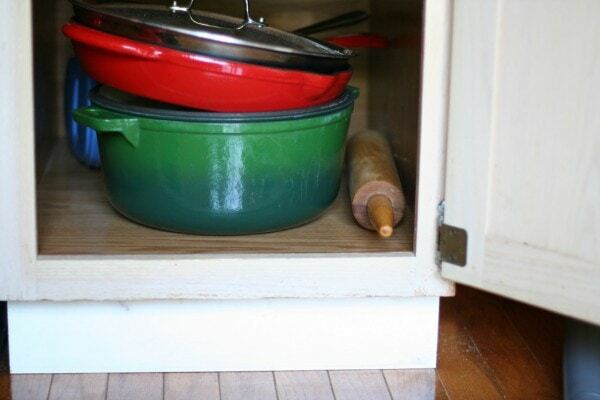 I have the same green Dutch oven. I can almost smell the potatoes. Yuck. Oh, and since it will be so early in the year that you’ll be harvesting, you can plant a 2nd batch in May in the same spot and harvest in late July or august! save 2 of your potatoes from easter dinner and let them sprout on top of the fridge in the original mesh bag. You should have 1/2 inch (that’s all you really need for sprout length) sprouts by the time you harvest the first batch and they’ll be ready to go in the ground. Enjoy! If you do it, let me know how it turns out! You can grow potatoes in anything, an old trash can, a stack of tires, a large rubbermaid storage bin, a big bucket with holes in it (for air and moisture)…anything! Fabulous! I love this tip!! Eww rotten potatoes. They are a funky smell all their own. Wasted a large chunk of banana bread and Swiss chard. Far from exemplary-there’s always next week. Not sure how this happened, but we have no waste this week!! Woo hoo! I did have to get creative with some leftover rice, and we still have some dinner leftovers in the fridge that I hope will get eaten this weekend. 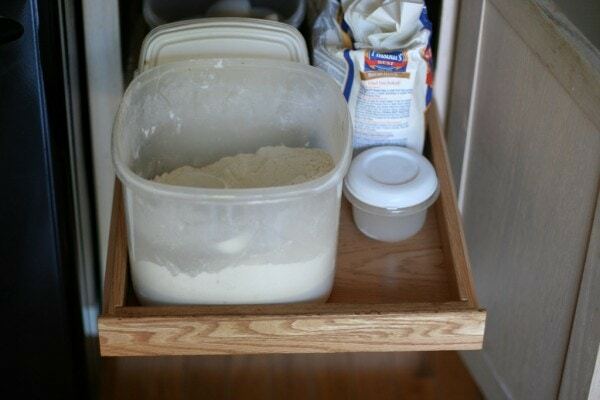 Every time I stick my flour covered rolling pin back in the cabinet I wonder if I’m the only one who rarely bothers to clean it…apparently not! I have a french rolling pin made of walnut. After all the work of seasoning it (rubbing oil into it), I’m definitely not going to wash it! I just wipe it down if it gets really floury or gets dough stuck to it (really only happens when I’m making sugar cookies occasionally). Because I don’t wash it with soap, I never use my rolling pin for flattening raw meat, even if it’s in plastic. My very creative sister used a wine bottle for at least a year before she finally caved and asked for a rolling pin for Christmas. So now I just keep a wine bottle around for rolling out meat – glass, so easy to wash, and durable enough even for pounding! Well, I have fixed feelings about this week’s waste – it includes something we just really didn’t like. In other news, I really need to make kale chips today so I don’t waste that next week!! I kind of find this amusing today. I had red potatoes rot in my cabinet this week, so I cleaned it out as well. My potatoes leaked a black slime that smelled like manure. I have a bowl of vinegar and a bowl of baking soda in the cabinet trying to get the odor out. Oh, yes. The black ooze is so rank. Amazingly, our food waste this week is minimal. I say amazingly because we found out on Wednesday that my grandfather had passed away in his sleep Tuesday night (he was 91, but still driving, living at home, and very active in his community), so we’re planning a last-minute week-long trip to Minnesota from Ohio. This is my first week back blogging about food waste as I have been in France. Bit of a bumper edition. Not in terms of waste but in a round up of how I got on in France (just because I was on holiday it doesn’t change my attitude to food waste!). I’d downed digital tools for a couple of weeks to really take a break, and had a lot to catch up on for my first proper post back! I wasted a few chunks of watermelon. Nothing else this week – hooray! That’s not too bad, and those potatoes actually look like the ones I have in my fridge. I want to know what happened to your potatoes! At least they’re a compostible food waste? Decided to join in on the food waste blogging band wagon! Oh my….this was quite the embarassing week for me. I don’t feel quite as guilty when something doesn’t get eaten because we didn’t like it. I am frugal, but life is too short to eat bad food. I do feel guilty when perfectly good (tasty) food gets forgotten. I feel like I owe the tators an apology….sorry tators…you KNOW I love you! Not a good week here. First, I took stuff to work and forgot about it in the fridge. A bag of grapes and leftover takeout salad (double bad–wasting expensive salad!). I did salvage the cherry tomatoes from the salad and roasted them with zucchini, onions, and garlic for dinner. At home it wasn’t as bad–a lone radish that got buried in the produce drawer until it was soft and smooshy and a small bowl of leftover salad that fell out of the fride, lost it’s covering plate and landed face down on the floor. My fridge is packed a tthe moment but I am having guests for the weekend so hopefully we can eat it down. We did well this week! Our fridge is nearly empty; we’ve been eating up all those dry goods we all have lying around in the cupboards, so after a shopping trip on Tuesday, we’ll see how much waste happens next week. Hopefully not a lot. The potatoes proved the saying of “There’s a silver lining to every cloud.” And somehow the cloud thing ties in with the hurricane, but I’m not clever enough to figure that out right now. I did not waste a thing. I am getting so much better at it. When we eat left overs it makes me happy actually. I try not to waste other things like shampoo, cleaners or everything under the sun. It is wrong especially with all the suffering in the world. My waste this week really bad. We had no electricity for 2 1/2 days (60 hours), Because of that we lost everything in the fridge and our deep freeze. We lost the stuff in the deep freeze because we used it as the fridge after that got warm. We have been working on using up the food from the freezer because of our move. I am not at all good at not wasting food, but you’ve inspired me! I had several small containers of yogurt that were about to pass their date. So, I put them in the freezer! My son is enjoying the frozen yogurt very much, and no waste!! Thanks so much for making me think before tossing it in the garbage.